Hillcrest Farm Disc Golf is excited to announce that the course will take part in hosting the National Disc Golf Championships in P.E.I. Read more in excerpt below, from the full CBC News story. P.E.I. is well known for having some of the best golf courses in the country. Now, the province is gaining a reputation for having a top-ranked disc golf course. 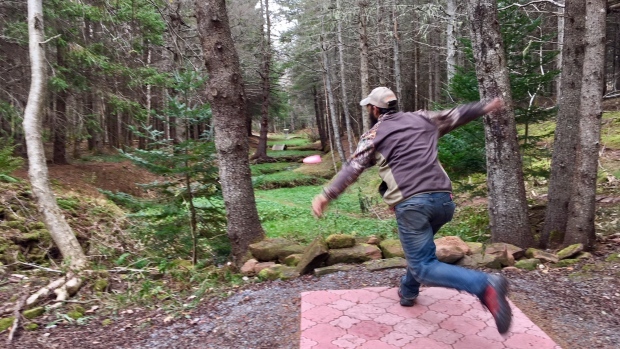 The tournament will be held at the course at Hillcrest Farms in Bonshaw, P.E.I., which is ranked as one of the top 10 disc golf courses in North America. The Maritime Disc Golf Association (MDGA) will host the National Disc Golf Championship, on P.E.I. next year. Smith said the MDGA’s bid to host the tournament was well received and the event was given A-tier status, the highest status ever given to a tournament in Canada. Hey Beth! It’s taking place September 14-16. Registration is now open! Follow this link for registration information and the schedule of events. Hope to see you there!